The sights and sounds of the world are noted by us not just in their particularity, but because of the mind's capacity for imaginative association, they are full of the echoes of other things, and of our own memories. And it is poetry, above all other arts, in which we can see best this free play of the imagination - it is poetry which invites us, in the words of the eighteenth-century English poet and painter William Blake, "To see the world in a grain of sand,/And a heaven in a wild flower-/Hold infinity in the palm of your hand,/And eternity in an hour." 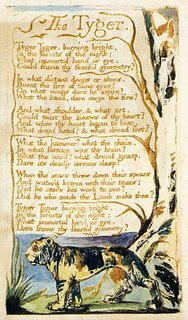 In two poems - one by the seventeenth-century Oriya devotional poet Salabega, and the other a well-known work by Blake himself - we find the feral beauty and prowling menace of the tiger leading to two very different images of god. Salabega was born to a Muslim father - Lalbeg, a trusted lieutenant of the Mughal emperor Jahangir - and a Hindu widow whom Lalbeg had abducted on one of his expeditions. The legend of Salabega says that he was raised as a Muslim, but after a dream seen in his youth he became a devotee of Krishna and his distinctively Oriya incarnation, Lord Jagannath. He spent the rest of his life in Puri, the site of the famous Jagannath temple (into which he was not allowed because he was a "lowborn"), composing beautiful lyrics in praise of Jagannath, the "dark and round-eyed lord", and the love of Radha and Krishna. The novelty of Salabega's love poems is the way he takes on the voice of either Radha or Krishna: in his poems these figures from Hindu legend are not transcendent gods, their concerns far above the realm of mortals, but are instead wholly, vulnerably human, maddened by desire. It is possible to read in them the thrills and tensions of any adulterous love affair. In one poem Radha speaks of how she is "a sane and chaste and married woman" who has fallen victim to the "blue mischiefs" of Krishna's flute, the flute that "won the green garden of my body". In another, she notes on his skin the marks of "bewildered bangles" and fires a volley of questions at him: "With whom did you sleep? Who shared your warmth?" "This fuming instant eats me away," she sulks in another poem. "He lifts me to the skies, and now drops me to the earth,/All men are alike, wearing a honey-bee's mirth." At such moments Salabega appears very much a modern, as close to us as Sylvia Plath. "In the Wood's Desolation, the Tiger is Wild" is one of a minority of Salabega's poems in which the speaker is an external observer and not an actor. In it the tiger's bloodthirsty leap metamorphoses into Krishna's ferocious and passionate pursuit of the gopis. The translation and title are by Niranjan Mohanty; Salabega did not title his poems. In the wood's desolation, the tiger is wild. Hungrier it goes without prey. waiting and watching, He carries her away. Into the womb of the wood, fast he flees. Child-like, the tiger, yet it is wild. leading to the lyric bend of the river. at the sight of bathing gopis. His wide gape wears moon-like glitter. His lips are pretty and aquiver. and his eyes so rare, huge and globe-like. No one knows whence came this tiger, Kanhai. Thus sings Salabega, the lowborn. Salabega's poem is full of assertions, bright details; he confidently identifies the tiger with a god he loves, and even his one negative formulation is an affectionate one: "No one knows whence came this tiger, Kanhai". William Blake's poem "The Tyger" appears in his collection Songs of Experience (1793). The son of a haberdasher, Blake's training was as a painter and engraver. He was a man out of kilter with his times, self-publishing his poetry in handmade volumes with beautiful illustrations, but enjoying only the smallest readership. As he grew older his work grew more complex and esoteric, and some of his contemporaries thought him a lunatic; now he is thought of as the quintessential "Poet of London". He is best approached through his two early collections, now usually taken as a group, The Songs of Innocence and Experience, in which direct language, simple metres and striking symbolism produce a poetry of great lyrical force. The line "Did he who made the Lamb make thee?" is a reference to Blake's poem "The Lamb", a contrasting poem in which the gentle lamb is identified with Christ. Niranjan Mohanty's translations of Salabega's poems can be found in a collection called White Whispers, published by the Sahitya Akademi. A couple of translations of Salabega by Subas Pani can be found here. And in this marvellous interview, the American poet Stanley Kunitz speaks at length about the life, work and times of Blake, and provides readings of several of the best-known poems of Songs of Innocence and Experience ("It is believed he had only thirty orders for Songs of Innocence, of which there are only twenty-six in existence today. But each was individually produced, and so no two copies could be identical."). And the translator Burton Raffel has some illuminating thoughts on the poem("Is it the tiger's eyes that burn? or his presence, his fierceness, his passionate hunting? Blake is of course speaking of all of these, and more, but of none directly") in an essay on translating "The Tyger" into French. To celebrate the 250th anniversary of Blake's birth, The British Library is currently hosting an exhibition called William Blake: Under The Influence, featuring items loaned or donated by writers and artists inspired by Blake's work. Among the items on display (and available online here) is Blake's notebook, in which are visible 30 years' worth of notes and sketches. Take a look. And here are two favourite Blake poems: the doom-laden "London", ("I wander through each chartered street,/Near where the chartered Thames does flow,/And mark in every face I meet,/Marks of weakness, marks of woe.") and the equally dark "The Human Abstract" ("Pity would be no more/If we did not make somebody poor,/And Mercy no more could be/If all were as happy as we."). And an old post: "Some thoughts on artistic time and real time". Update, March 3: And the British poet Tom Paulin discusses "The Tyger" and other Blake poems an essay called "The Invisible Worm". Falstaff, how do you mean that? 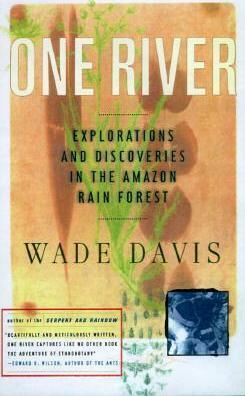 "In the Wood's Desolation, the Tiger is Wild"...enjoyed reading it! Falstaff - Ah yes. Thanks very much. That's three tigers we've collected now.